Being a car owner comes with a great deal of responsibility. You need to understand that your car is an asset, and you have to take care of it. It can be expensive to deal with car problems, and they may have an adverse effect on your life. Make sure you look after your car and treat it with the care and attention it deserves. Cars are machines, and they will all develop issues and faults at some point. If you want your car to look great and run as well as it can you need to get it serviced. It’s important to nip problems in the bud before they get any worse. 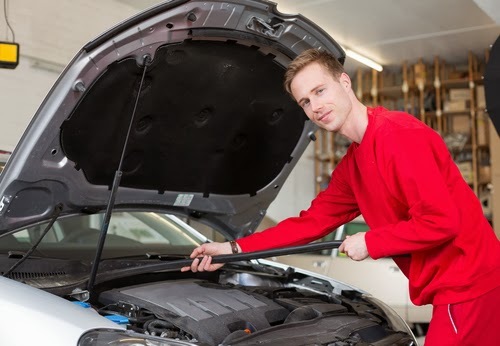 By taking your car to a professional service garage you can deal with these issues ahead of time. It’s the best way of making sure your car is look after and treated well. Being safe and sensible on the roads is another way of making sure your car is looked after. A lot of people are reckless drivers and can get into accidents as a result. You need to make sure you are safe and responsible when you’re driving. This means you need to be wary of what the weather and road conditions are like. Always stick to the speed limit, and always pay attention when you’re behind the wheel. The better you look after your car now the longer it’s going to last. If you can be safe on the road, you’re more likely to avoid accidents and your car is going to last longer as a result. You also have to pay close attention to how your car is stored. You have to make sure you look after it as much as you can, and a lot of that is down to how well you store it. Make sure it is protected from the elements and from potential crime. Storing it on the street might be necessary, in which case you need to keep it as close to the house as possible. But, the absolute best bet would be to store it on the driveway or in your garage. If your home is lacking these things you might want to invest in them. Looking after your car is so important for helping to make it last as long as possible. A car is a valuable asset, so you need to make the most of it. Protecting and preserving the car is the best way of ensuring it lasts a long time and fulfils the jobs you need it to. Always show your vehicle respect and it will look after you in return.